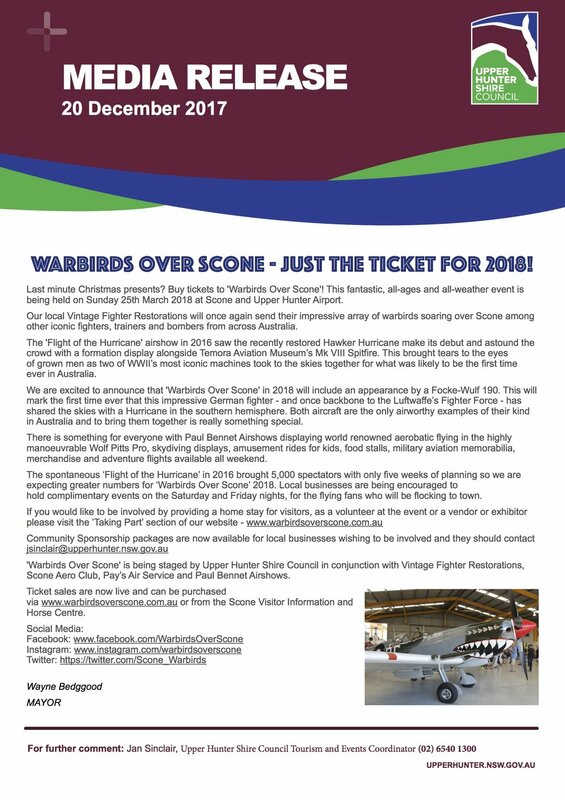 Check out our advert for Bengalla Warbirds Over Scone. 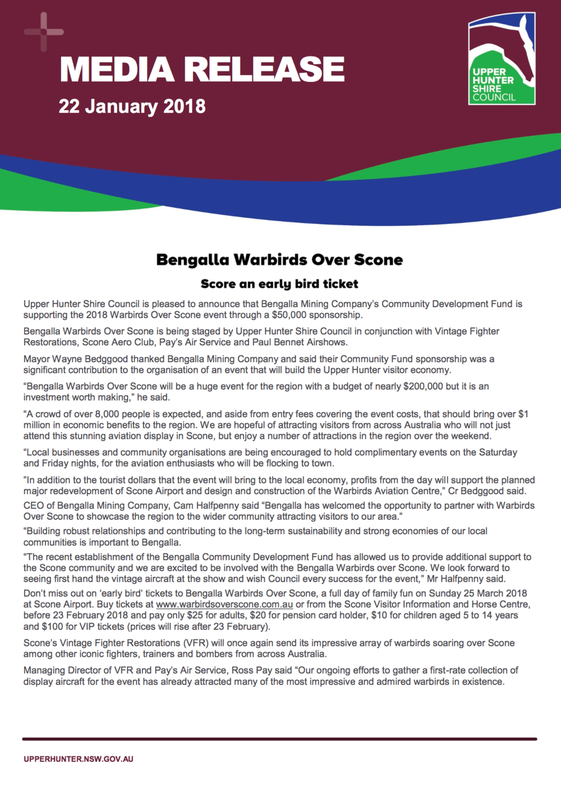 The ad will be on NBN Television, 9Gem, 9Life and 9Go! 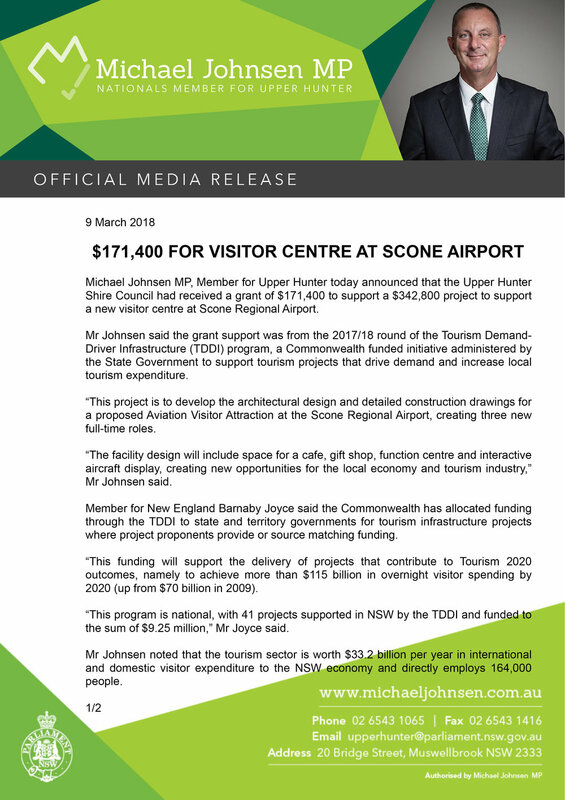 across the Newcastle/Hunter and Northern NSW network from Sunday 4 March until the big day. 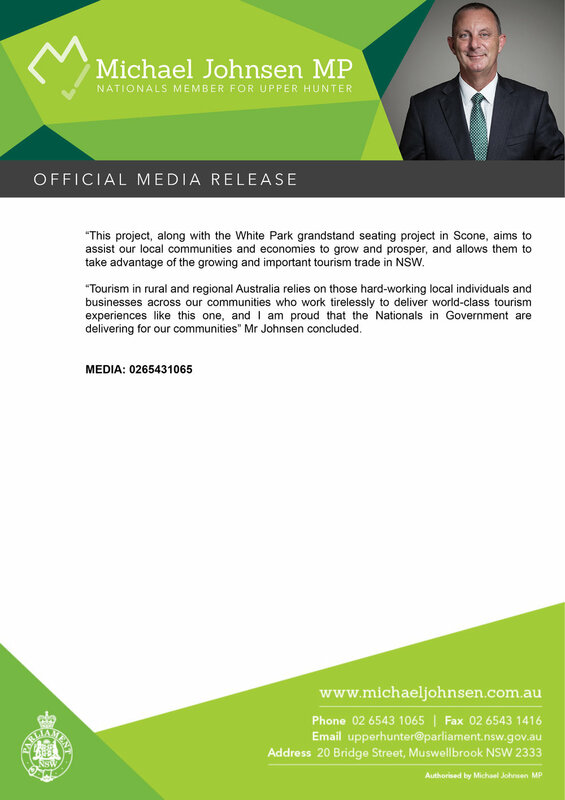 A big thank you to NBN Television for producing this and being our TV Sponsor. 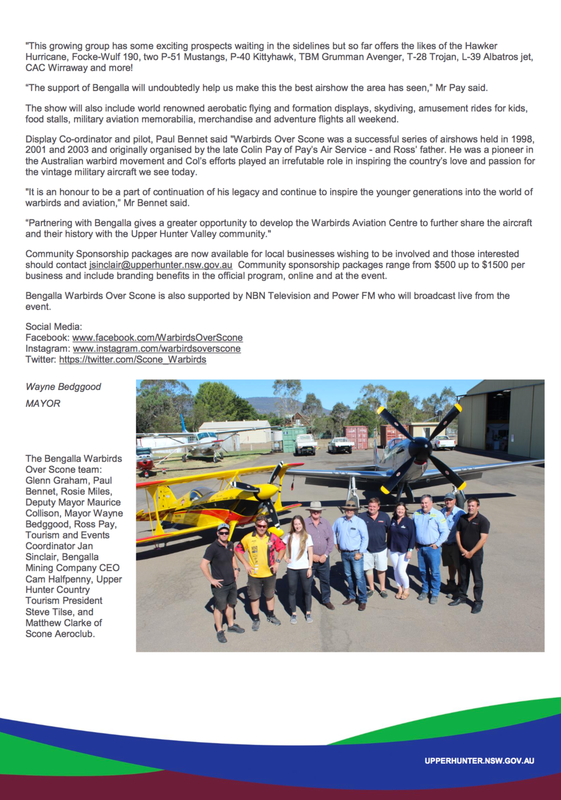 Also thanks to Mark Jessop of Australian Aviation for providing imagery, Paul Bennet Airshows for video footage and to Shane C. Rodrigo for his great voice over talents.